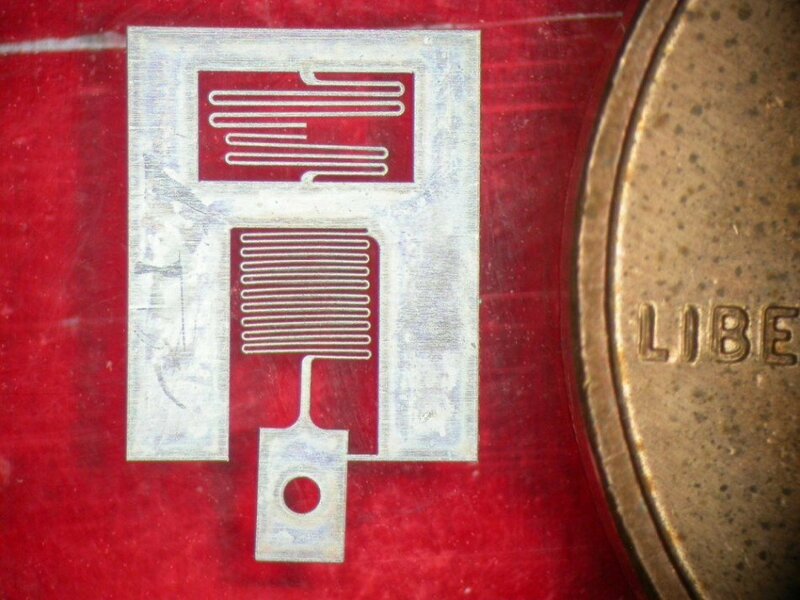 This micro G-force sensor, designed to measure microscopic G forces in an aerospace application, was cut from 25 μm thick aluminum. 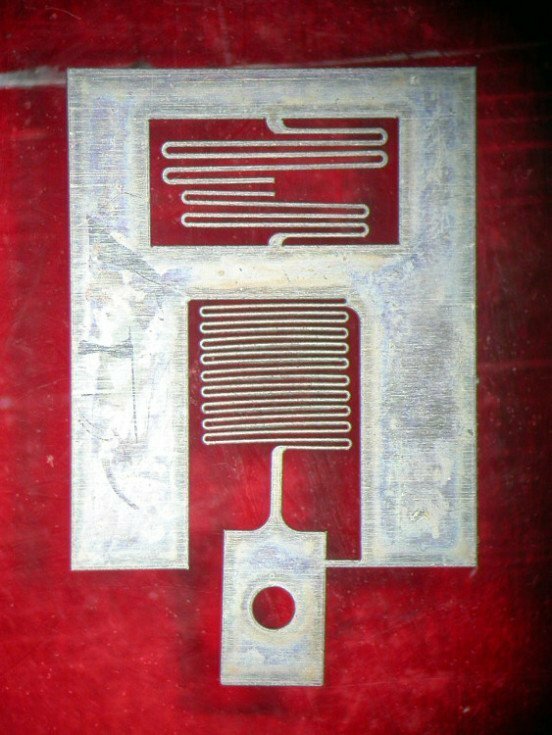 The smallest section of the spring is just 30 μm wide. This sensor was made from aluminum because of its low yield strength and low elasticity. If you’d like more information on this project or if you’re interested in a similar service, please contact us.